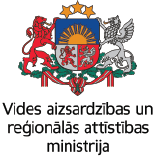 The objective of the Interreg V-A Latvia – Lithuania Programme 2014-2020 is to contribute to the sustainable and cohesive socio-economic development of the Programme regions by helping to make them competitive and attractive for living, working and visiting. Improved quality of living through efficient public services and administration. National, regional and local public authorities as well as public equivalent bodies and NGOs can apply for the Programme in cross border partnerships. The eligible programme territories are Klaipėda, Telšiai, Šiauliai, Penevėžys, Utena and Kaunas counties in Lithuania and Kurzeme, Zemgale, Latgale regions in Latvia. The total Programme co-financing from the European Regional Development Fund amounts to EUR 51.6 million euros and will be allocated to projects contributing to the Programme objectives. The eligible project activities are co-financed by the Fund for 66 323 100,00 EUR.Please find the full text of the programme here. Interreg V-A Latvia Lithuania Programme 2014 – 2020 has several organisational bodies to handle the various tasks of the Programme.